The face is cleansed and exfoliated to remove dead skin followed by steam and extractions to eradicate blackheads and blocked pores. A purifying mask is then applied whilst we indulge you with a tension relieving neck and shoulder massage. A light, nourishing moisturiser is applied to complete the treatment. Skin looks clear and rejuvenated, regular treatments will keep pores unblocked helping to minimise large open pores. The face is cleansed and exfoliated to remove dull and dry skin. 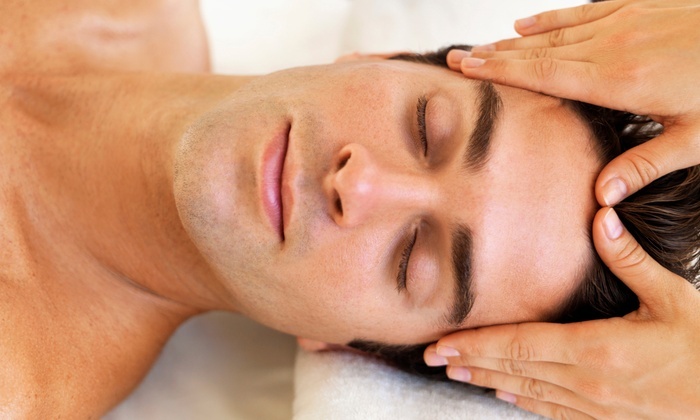 Enjoy a tension relieving neck and shoulder massage and a relaxing and stimulating face massage. A nourishing and hydrating mask makes skin look fresh, bright and rejuvenated. Enjoy a complimentary hand or foot massage. A light moisturiser is applied to complete the treatment. Intense treatments to reduce acne and acne scarring and soften lines and pigmentation. Also an excellent anti-ageing treatment. No down time. Available as a package for optimal results. 10% discount on course of six treatments. This is a relaxing and/or deep massage to alleviate tension and stress which helps to calm the mind and body. Massage can help with balancing emotions, anxiety, circulatory issues, joint and muscle pain, insomnia and much more. Regular massages help to establish and maintain good health and wellness. Endorphins are released that produce a feeling of wellbeing, whilst stress causing hormones such as adrenalin, cortisol and norepinephrine are reduced. For people who suffer from depression or anxiety a massage can be hugely beneficial. Massage therapy helps the body relax by relieving muscle tension and therefore the mind can also relax. A simple massage can alleviate neck, shoulder and back pain and improve blood flow. Improving the flow of the circulatory and lymphatic systems allows the body to deliver oxygen to other areas of the body and remove toxins more efficiently, leaving the body feeling cleansed. A deep massage working on knots, congestion and muscle strain. This massage is excellent for sports people, gym enthusiast and those who have physical jobs. Scrub and soak the hands, cut/file/shape/buff the nails, cuticle tidy. Scrub and soak the hands, cut/file/shape/buff the nails, cuticle tidy, softening hand mask, hand and forearm massage. Scrub and soak the feet, cut/file/shape/buff toenails, cuticle tidy. Scrub and soak the feet, cut/file/shape/buff toenails, cuticle work, remove callouses, cut and buff away dry and dead skin, stimulating foot and calf massage. For hygienic purposes, a fresh spatula is used for each application of wax. For your comfort, numbing spray is available at no extra cost. *10% Discount on Full Body Wax* – call Como Total Body Salon today on 9313 2233. Transdermal Electrolysis is an effective, non-invasive and safe way to remove hair from any part of the body – face, legs, arms, bikini area etc. It is effective on any hair colour (grey, blond, fair, red, dark) and any skin colour (fair, medium, dark). It is suitable for sensitive skin. Instead of using a needle or tweezer, Transdermal electrolysis involves placing a cotton tipped probe into an electrode gel to transmit a galvanic current through the skin into the hair follicles. This creates a reaction to kill the hair.